Improviser In Chief: Clinton Text Vs. 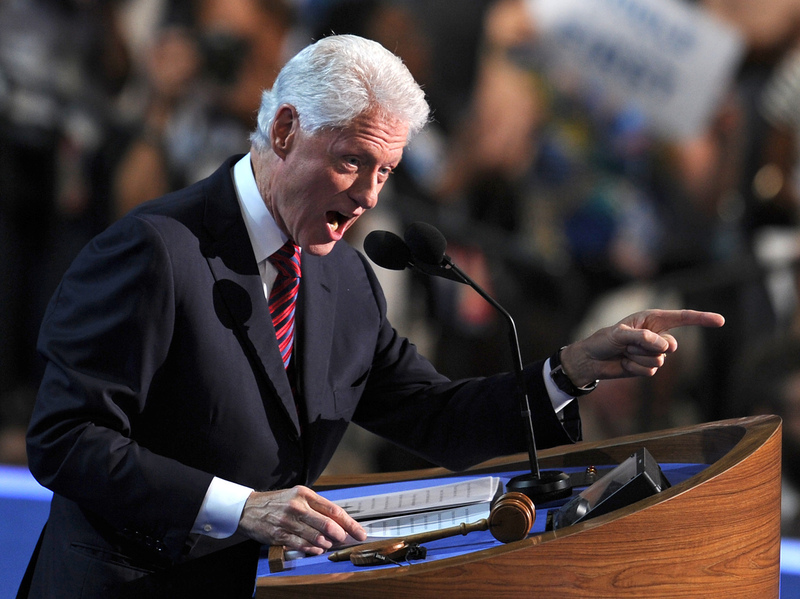 Audio The same Bill Clinton who was known for winging it through speeches as president and as a candidate was at it again Wednesday night, departing from the prepared text for his address to the Democratic convention. Compare the prepared text with the audio and video. Former President Bill Clinton delivers remarks at the Democratic National Convention in Charlotte, N.C., on Wednesday. As president and as a candidate, Bill Clinton was known for sometimes winging it — even in major speeches. In 1994, Clinton famously spoke from memory for a time when the wrong version of his State of the Union address appeared on his teleprompter. That was the same Bill Clinton who spoke to Democratic convention delegates for nearly 50 minutes Wednesday night — adding about 2,300 words to a speech that started with 3,200 words of prepared text. Some of the night's most memorable lines ("It takes some brass to attack a guy for doing what you did") were among the additions. Use the original text below to compare the prepared remarks with Clinton's actual speech using the audio or video embedded on this page (or with the transcripts of the actual speech posted by the Washington Post and others). Former President Bill Clinton delivers the nomination speech Wednesday at the Democratic National Convention, from PBS NewsHour.